- $1 off one Pampers UnderJams Absorbent Night Wear. 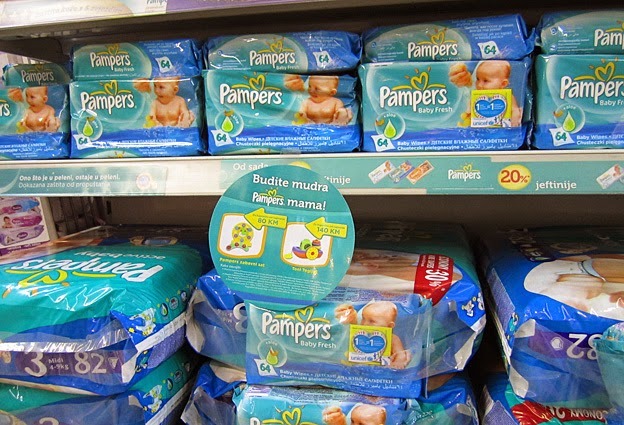 - $1 off one bag or box of pampers swaddlers diapers... and more. Online: Very popular! See all their pampers diapers that have clippable coupons and 15% subscribe and save. Shipping is free, great savings! Printable: Log in or sign up to print some great diaper coupons for pampers Easy up trainers or Baby Dry diapers and more. There's also coupons for bounty, crest, and tide. - Canadians You Can Join Here.